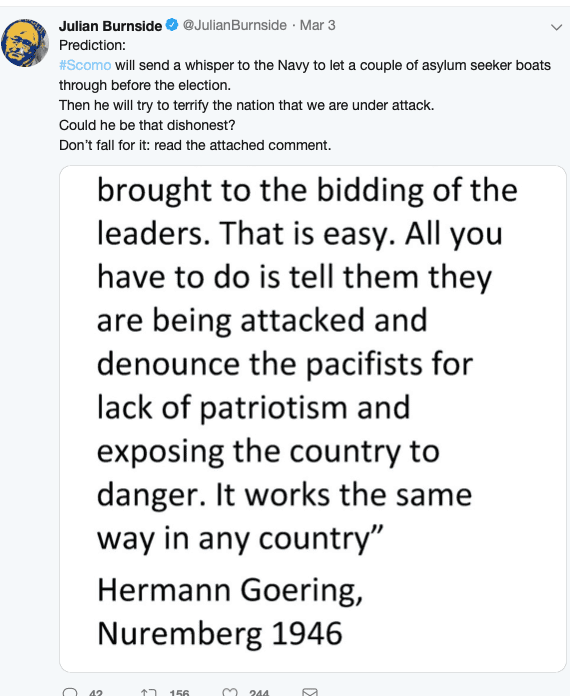 Federal Labor MP Michael Danby has slammed new Green Party Candidate, Julian Burnside for his quoting of Nazi official, Herman Goering, using an analogy in an attempt to smear Prime Minister Scott Morrison. “Remember the Green Party has voted against every Australian law since 9/11 passed by both sides in Federal Parliament, in the Senate where support of the Labor Opposition is essential for the passage of counter-terror laws”, said Mr Danby. Here we go again. The same hysterical and unwarranted response that was given to Dr Bauert’s comments a few weeks ago when he dared, with minor inaccuracies, to compare conditions on Nauru to those in concentration camps. The lessons to be learned from the Holocaust and the statement by Goering referred to by Mr Burnside are universal. Those who say otherwise and who think we can apply nothing from history to experiences today offend the memory of the Holocaust. 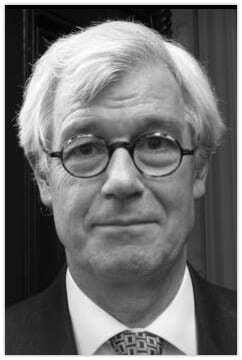 Mr Danby’s response says more about his animus towards the Greens. 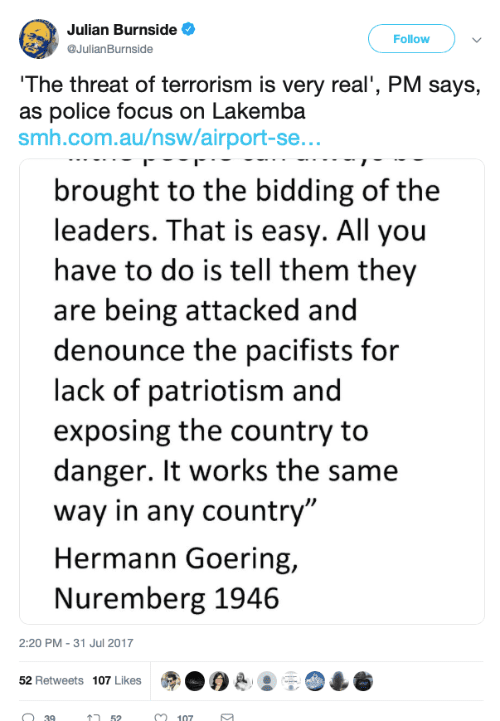 Agree and George W Bush did the same talking about patriotism and he uses fear to get his war going in Iraq and Menzies did it concerning Communism in the 1950’s. And here are some more examples of this man’s endearing qualities….